I made this delicious, nifty little breakfast for a guest that came for a spontaneous visit over the weekend. After a late night of merriment, and with the scorching sun turning the whole house into a sauna, we didn't quite fancy the usual morning after fry up (though OF COURSE we still wanted bacon). 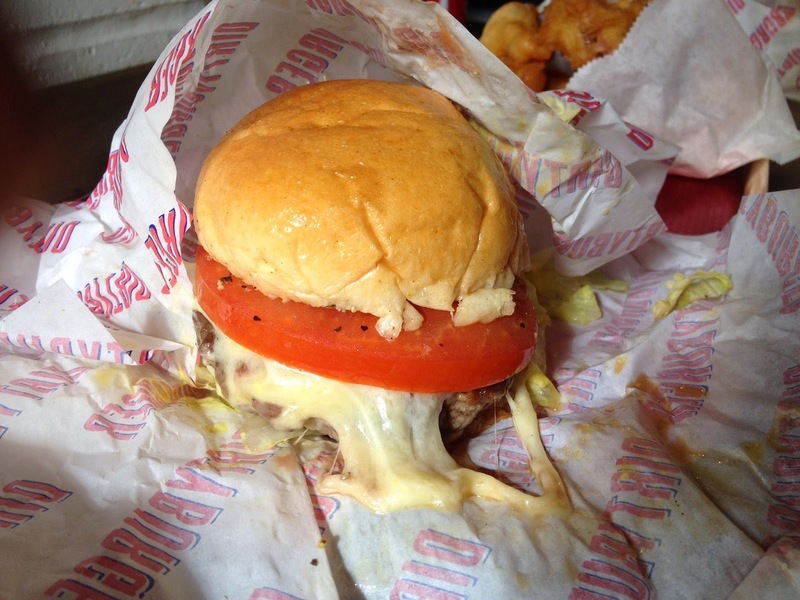 This recipe is the best of both worlds. You get your bacon fix without the heavy carbohydrate intake of a usual morning after meal, which let's face it doesn't actually leave you feeling any better and tends to serve only to send you into a fat-induced semi-vegetative state. We ate on the patio with some crisp, cool watermelon. 1) Coat your asparagus lightly in oil, salt and pepper. Divide the stalks into pairs. 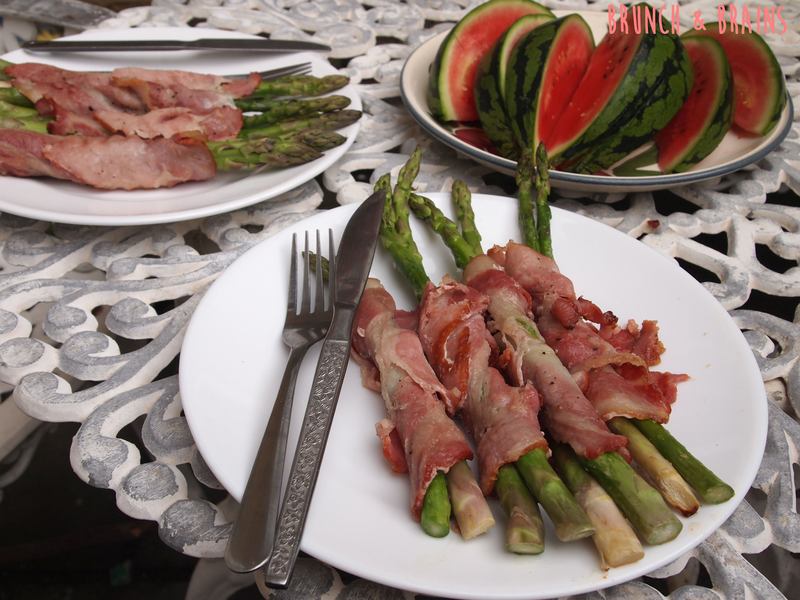 2) Take one rasher of bacon per pair of asparagus and wrap in a diagonal fashion starting for the base up to the tip. The aim is to ensure the bacon is overlapping but not so much that parts will go partially uncooked. Once you have your bundles add a little more salt and pepper and add another light covering of oil. 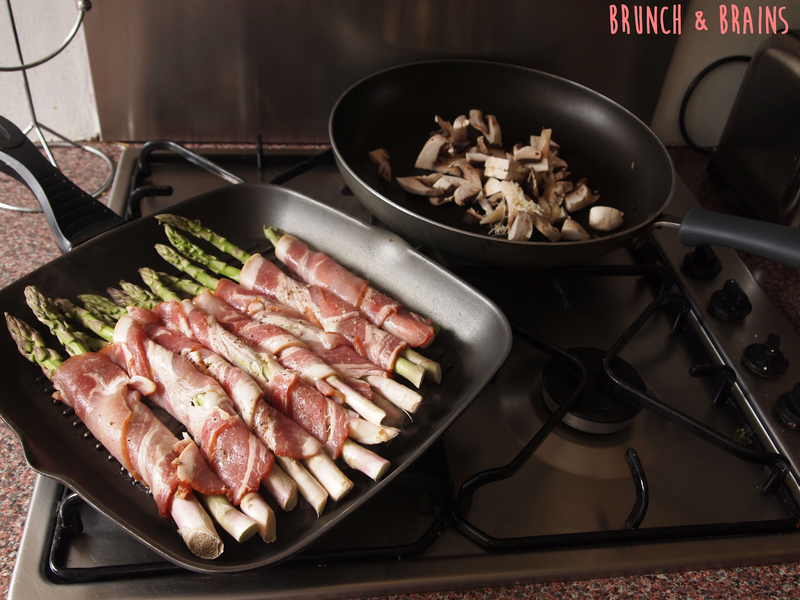 3) Heat up a griddle pan to a medium heat and add the bundles. 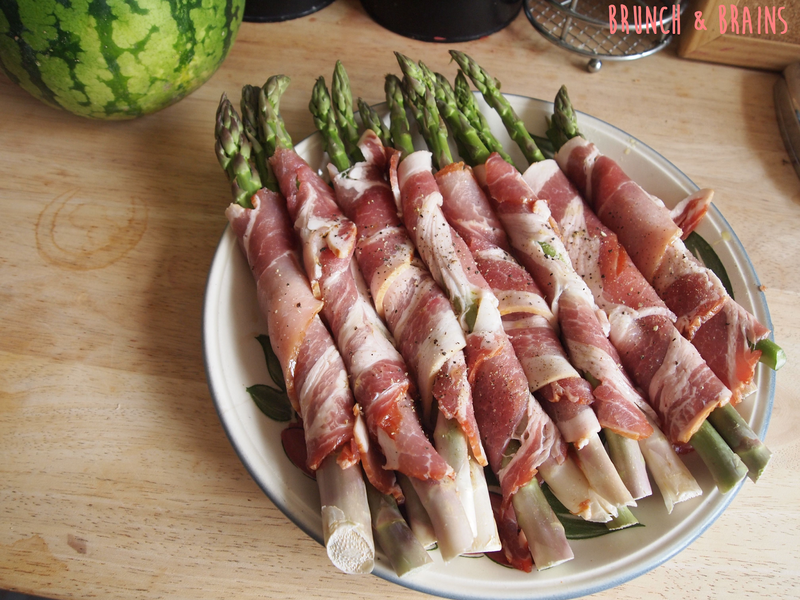 4) Fry the bundles and turn about every five minutes until the bacon is cook to your liking. Then, serve.